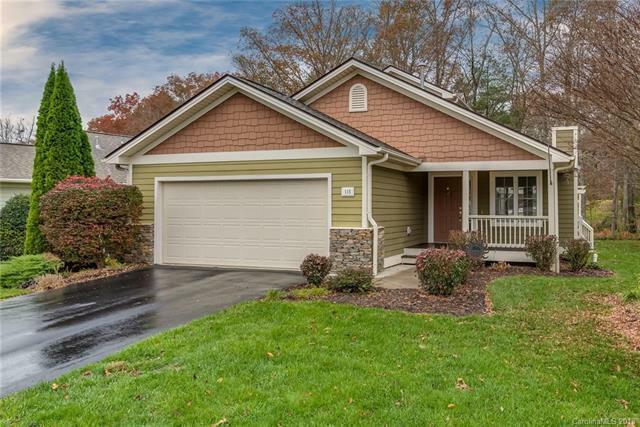 FANTASTIC LOCATION ON ETOWAH VALLEY GOLF COURSE! Enjoy this stylish low maintenance home with lots of windows or relax on the large private deck with hot tub. Everything you need on the main level plus 2BR, 1BA up. Wood flrs, new carpet, gas logs, granite in kitchen with SS appliances. Yard maintenance covered by HOA so you have time to enjoy life!